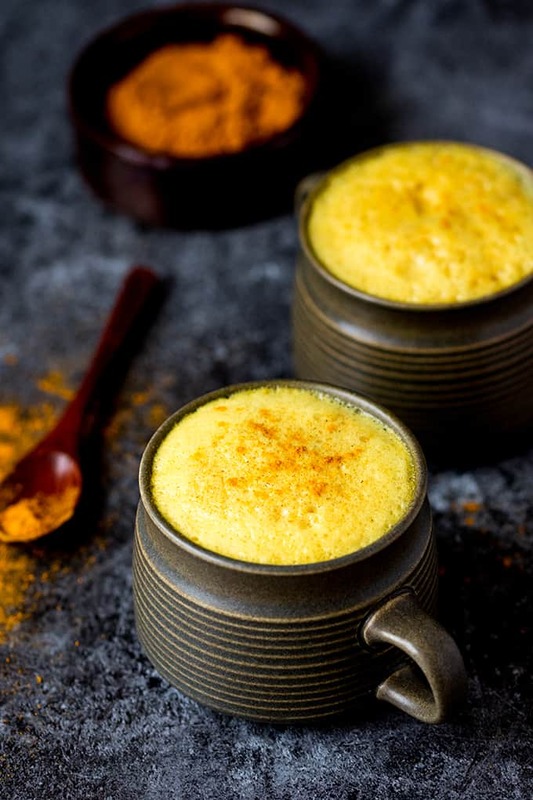 This Turmeric Latte with Coffee is delicately fragrant, and slightly spicy with a coffee kick to get you going! That’s what I was thinking about when I first started seeing the hype. Supposedly the next big cult drink of 2016 due to the anti-inflamatory and anti-oxidant properties of the turmeric. I wasn’t convinced. Would it be like drinking watered-down curry? Would it wake me up in the morning like my favourite first cup of coffee – despite the lack of caffeine? I was going to forget about it – thinking I’d maybe try it if Starbucks put it on their specials menu, but then I kept thinking about a delicious rice-pudding-style dessert called Kheer that one of my Indian colleagues had brought into work once (when I worked in an office job). It was a creamy dessert made with rice, milk and pistachios, but it was also flavoured with cardamon – something I’d only ever associated with savoury dishes. 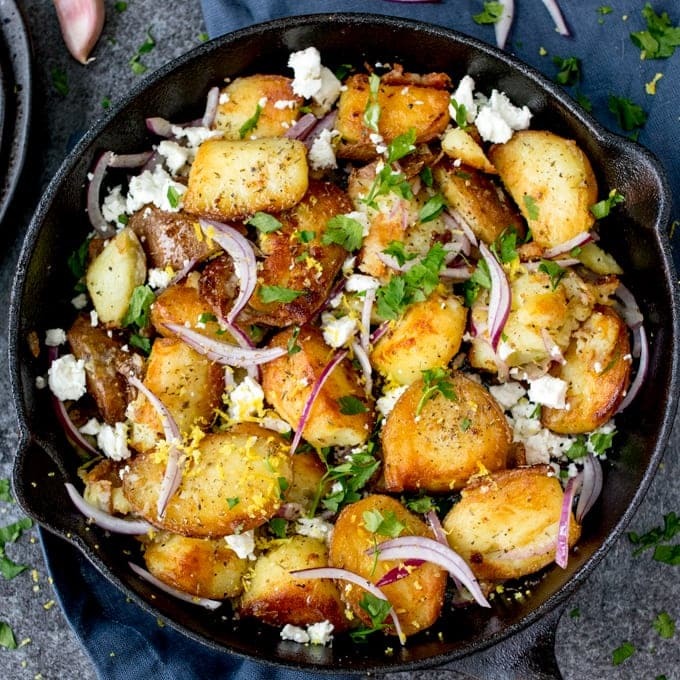 If cardamon could taste so delicious in a sweet dish, then why not turmeric? So I did a little experimentation…. It tried making it with almond milk and also with regular milk. With and without sugar and also with and without a sneaky spoon of coffee. My favourite version was made with almond milk, a little coconut sugar and coffee. 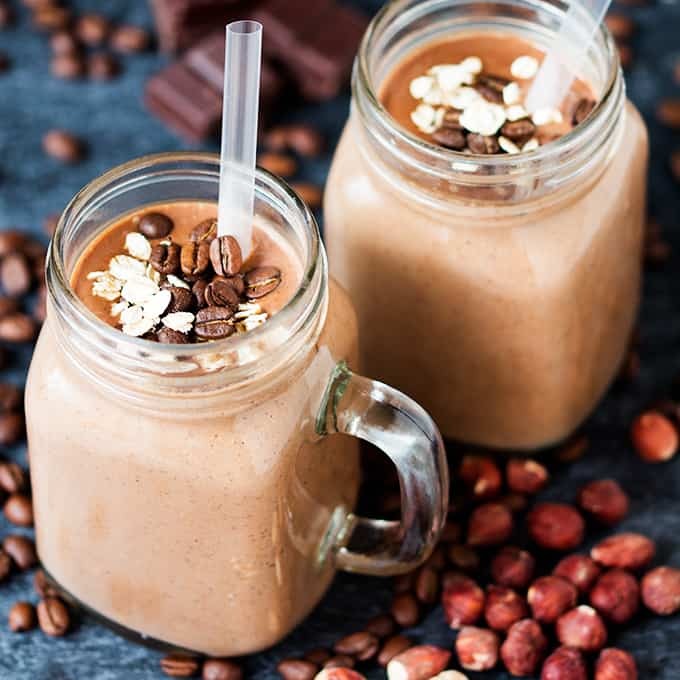 I only used 3/4 tsp of really good quality instant coffee per cup, so you couldn’t taste it too much, but I felt it made it more like a morning drink to get you moving – rather than a warm and comforting drink that makes you want to curl up on the sofa. The flavour is earthy and warming with a slight hint of heat coming from the turmeric and ginger. I’ve only recently started using coconut sugar. Have you tried it? It’s a brown sugar – a little less sweet than regular sugar, and it’s got this deep caramel-ish scent to it. I haven’t tried it in baking yet, but I’m looking forward to using it in some cookies and cakes – like this Carrot and Orange Traybake. It’s supposed to be much better than regular sugar (less processed, more nutrients, lower GI etc). I thought the flavour would work well in the latte without making it sickly sweet. I don’t usually have sugar at all in coffee, so was really looking for something with just a hint of sweetness to balance out the spices. The latte needs to be made in a pan and whisked to get a foamy topping (some people blend it, but I’m not keen on putting hot liquids in my blender – I’m too accident prone). If you do add coffee, it will look more of a brownish yellow rather than the well-known golden colour, but it will turn more yellow as the milk is heated through. I’ll definitely make it again. It’s not an every day coffee (a bit too much effort first thing in the morning), but I could easily see myself enjoying one with a piece of fruit toast at the weekend. Be warned though – try not to spill. You will have a yellow-splodged countertop and t-shirt that requires a fair bit of scrubbing to get out. Told you I was accident prone. 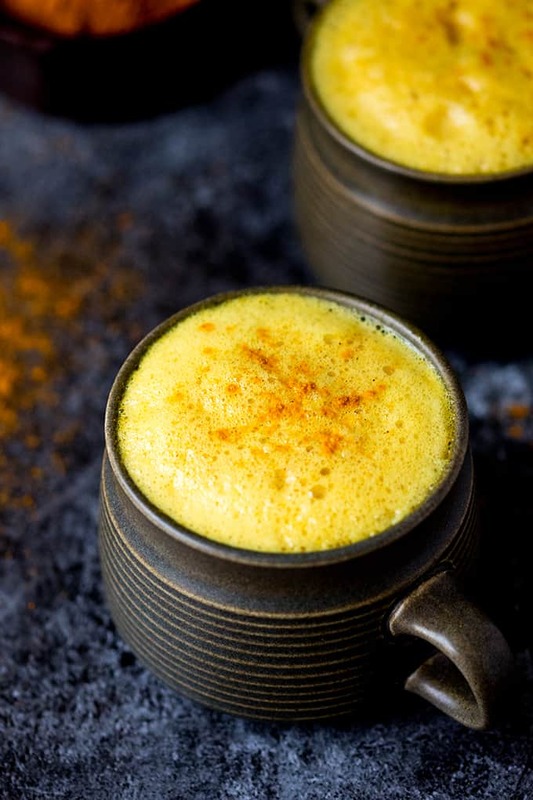 Turmeric Latte with Coffee - delicately spiced and comforting but with a little caffeine kick! 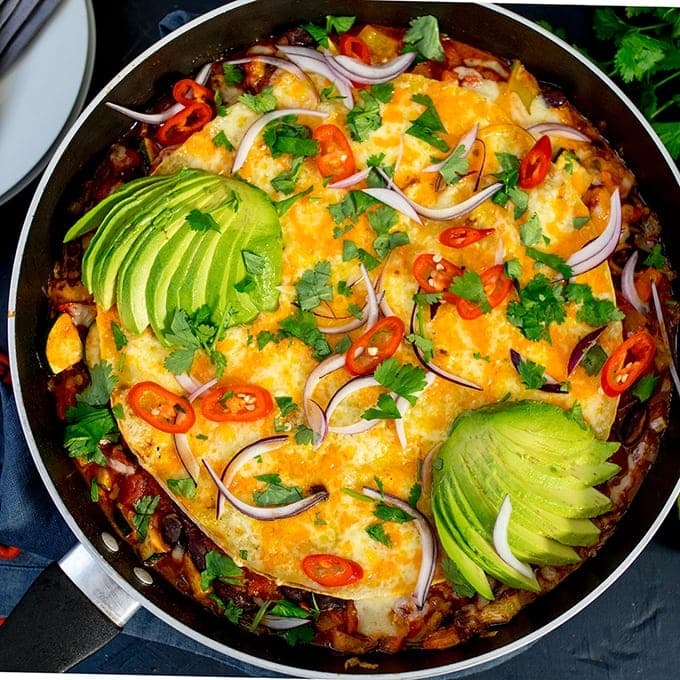 Place all of the ingredients into a small saucepan. Heat on a medium-high heat whilst whisking with a balloon whisk. This will ensure you get a nice thick froth. Heat until the drink is very hot, but not boiling (don't let it boil). Pour into two cups and serve. Sprinkle with an extra pinch of turmeric if you like. Nutritional Information is per cup, using coconut sugar to sweeten. I was just introduced to golden milk through my kundalini yoga instructor. GNC has a mix. So this morning I tried your idea with my coconut milk, golden milk mix, and brewed coffee because I don’t have instant. I am enjoying it thoroughly. 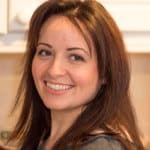 Hi, first off really great recipe. I wanted to add that you need a pinch of black pepper as well. It activates curcuma (the healthy part of the turmeric powder) and allows for the absorption of curcuma. Then you can really reap the rewards. I would read on it for more background info. I just remember this was something I read and never separated the two since. Thanks for the recipe! What an amazing way to enjoy turmeric, a fab morning coffee. Hey so I was wondering if I could sub something for the cinnamon, I’m allergic to it but would love to get the full flavour of this drink. Would cardamom or nutmeg work? which would be better? Also try to go keto diet, so would stevia work well with the other flavours and give right amount of sweetness??? I’ve been slipping turmeric into my Chai mix and slipping Chai mix into my buttered coffee for those days when I need to mainline caffeine and fend off arthritic ankles (never break a joint!). I won’t say it’s a perfect combination, but it makes my tongue happy for a few hours. I think I would love to try this drink myself! Can do with or without sugar and still manages to taste great! 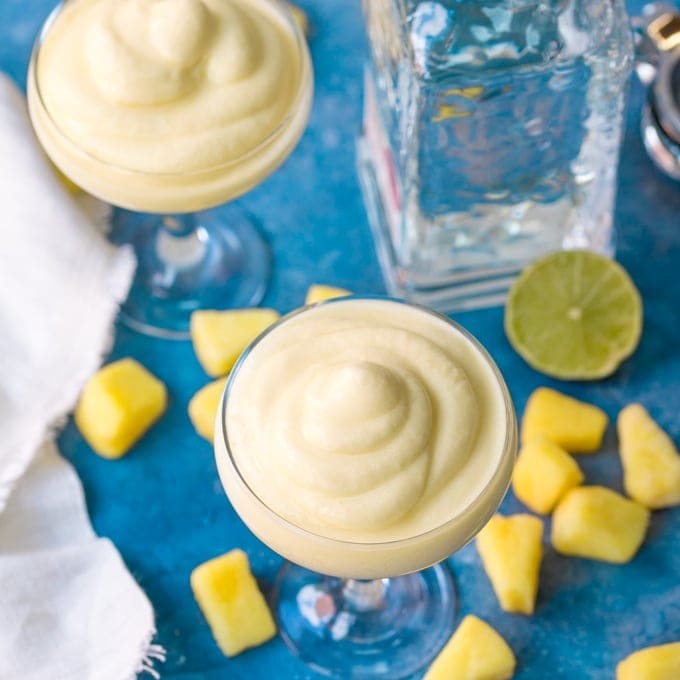 Do you think you could make this with black tea instead? Coffee with ginger, coconut sugar, tumeric with cinnamon, actually is nothing new in Java. But to put also Almond Milk, now im intrigue. Sadly its so hard and expensive here in Java. Gonna try it first with condensed milk. Hopefully able to make it foamy like yours. What also interesting is to try other types of ginger like galangal, galingale, greater galingale, etc. They all have diff flavour, smoothness, smell. If only I could get hold of other types of ginger! I’ve seen galangal – which sounds like a great idea – not seen the others though. Gorgeous pictures! 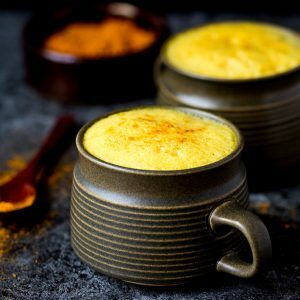 I love golden milk, I first tried it at a festival a couple of years ago and was hooked but I’ve never tried coconut sugar – I need to put that right at once! I would have never thought of this! I’m glad to hear it’s tasty too considering the health benefits. 🙂 WIll definitely be trying this. Thanks for sharing! Wow it looks stunning. I’ve avoided the tumeric milk hype until now…glad to hear you were also a sceptic before you tried it.! I’m not a coffee lover so would possibly leave it out. Still sounds delish! 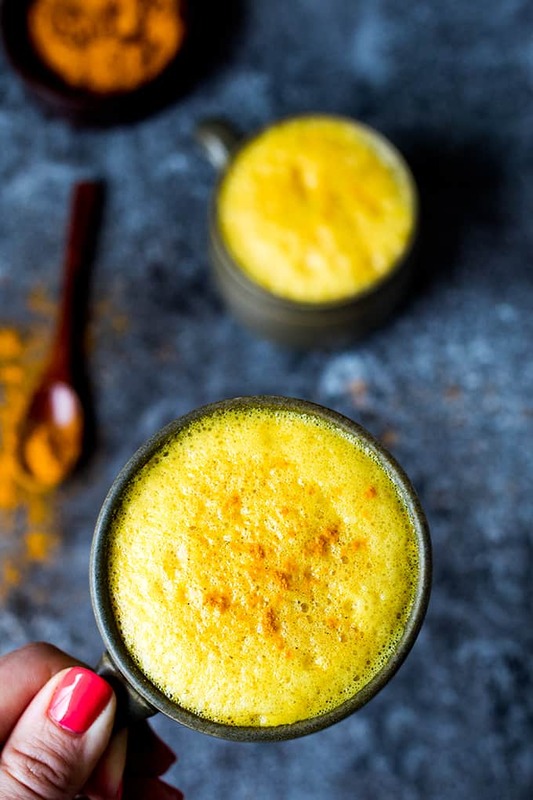 Tumeric milk is a traditional Indian drink (served without coffee) since ages. it’s typically had to boost immunity, or when kids are sick since . it definitely tastes delicious even without coffee in its pure form! I have to admit that when I started reading this I really wasn’t very sure about the whole concept but as I read on you got me totally onboard with it! I’m going to try a version using my Nespresso Machine and Aeroccino. Ooh sounds like a plan 🙂 Hope you like it! I love the beautiful colour that turmeric gives. I have never thought to have it in a latte too – that is something I will try in the winter months for sure. That’s a good point actually Dannii. I tried it first because I was hearing all the buzz around it, but it really would make a great winter drink. Ha ha I think a lot of people will be wary to try it, but I’ve had it a few times now. I really like that slight spicy kick to it.